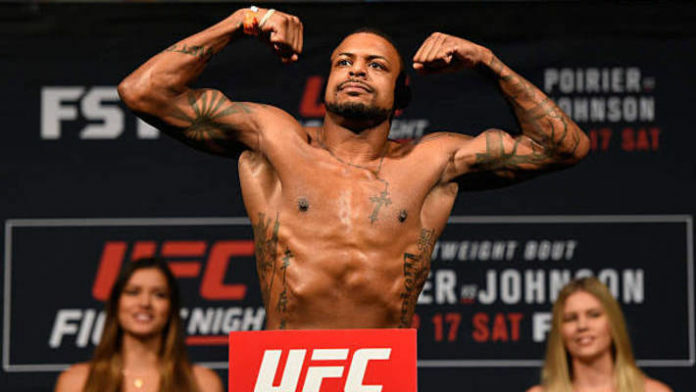 Michael Johnson wants to fight his way to the top of the featherweight division and Zabit Magmomedsharipov may very well be his next roadblock. Johnson is coming off a unanimous decision victory over Artem Lobov. It’s Johnson second straight victory following a three-fight skid. “The Menace” feels he’s ready to up the competition again at 145 pounds. If Johnson is to be believed, then he may be sharing the Octagon with a hot prospect from Russia. Many are praising Magomedsharipov for his creative striking and grappling. Many believe the featherweight could be the next big thing at 145 pounds. Of course the hype train doesn’t always reach its destination, but many believe that the 16-1 fighter can break the glass ceiling and eventually become the featherweight ruler. Whether or not that happens remains to be seen, but Johnson would serve as a solid test for the Russian. Johnson may not have the grappling to match Magomedsharipov, but he’s always a threat on the feet. Time will tell who is next for Johnson. Do you think Michael Johnson vs. Zabit Magomedsharipov should be booked?